A month and a half after he lost his job at RCS Sport and confirmed that he planned to take legal action over the sacking, Michele Acquarone has said that the matter has caused considerable damage to his reputation and, thus far, he has been unable to secure any alternative employment. The Italian has said that the company’s refusal to issue any clarification over the alleged misappropriation of thirteen million euro has made it extremely difficult for him to seek work. While the company has not said that he was directly involved with the crisis, he said that the uncertainty has meant that others within cycling and elsewhere are wary of engaging him. The Italian worked with the company for fourteen years and took over as the head of the Giro d’Italia after the 2011 edition. However his tenure at the top was a short one; in early October he was sidelined from his position as head of the race and as the COO of RCS Sport, and issued a long statement on the 11th of that month asserting his innocence and vowing to return. Several others were also given what were described as precautionary suspensions, including the former CEO Giacomo Catano and media relations director Matteo Pastore, while the administrative director Laura Bertinotti quit her role. 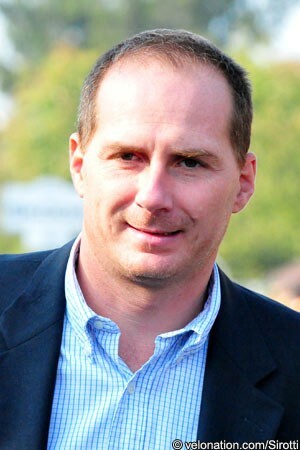 RCS Sport remained tightlipped, but in early December reports emerged that he had been sacked. Acquarone held a press conference on December 5th confirming this, and saying that he considered his dismissal to be unfair and against the law. As a result he said that he was launching legal action. Asked for an update about the situation, Acquarone said that he has remained in limbo in the weeks since then. “There is no news about the scandal. I sued RCS because of I think it was not legal the way I was fired. I think it was not legal the way they spoke about me, they way they spoke about misappropriation and everything. I think the judge will decide who is right or wrong, but I am sure that I am right,” he said. “I just look forward to the moment when this bad story will end. Now I have to find a good job. Asked if he believed that RCS Sport felt he was directly involved or if he simply should have spotted the fraud, he said that nobody had clarified the situation to him. “I don’t know what they think,” he said. “But I am sure I did my job in the best way possible. Now three months that have passed and I still don’t know what has happened. I still don’t know if I could have done something to avoid this because I still don’t know what happened. Two processes are taking place. The first is the investigation into what happened at RCS Sport. The second is his own action against the company. While Acquarone wants public clarification right away, knowing that the quickest way to restore his reputation is if RCS Sport were to state he was not directly involved in the misappropriation of the money, he fears it could take a lot longer to resolve the situation. “All I know there is an investigation, I don’t know more than that,” he said. “Everybody said I need to be patient. It will probably be 2015 or maybe later [when a conclusion is reached]. But the police know that if they need me to tell them anything, I am able to do it. I wrote down everything that I remember. I am here in Milan in my house…if anyone needs to talk to me, they know that I am free to do it. Acquarone states that he wrote numerous letters to RCS Sport during his suspension, urging the company to give him clarification of why he had been sidelined. He said that he was never given an answer, either by mail, by meeting or in any other form of communication. “My feeling is that they did it just because they needed to protect themselves,” he said, speaking about the silence. “I don’t know if I can trust them any more, if everything will be clarified by them. I really can’t trust anybody at RCS, because I don’t know how they could do that to me… I spent fourteen years working for them, now I am without a job. At the time of Acquarone’s suspension and again when he was sacked, VeloNation sought clarification from RCS Sport as to the reasons for those decisions. No reply was given, and the company is still to make clear why he and others lost their jobs. In the meantime, a shadow hangs over each of those who were shown the door. It’s a difficult situation as the absence of communication on the issue means that prospective employers don’t know what they are dealing with. Are those fired guilty of fraud? Have they instead been faulted for not spotting the actions of others? Might one or more of them be innocent, but fired for other reasons? It’s impossible to tell. In the meantime, though, the silence means that other companies have been reluctant to give offers. “What I can tell you is that I said to all the stakeholders [in the sport] that I was looking for a new job, that I needed something to feed my kids. I am still without a job,” said Acquarone. “I will need to find something else. 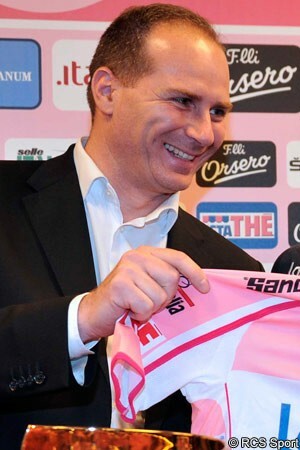 Acquarone took over as the race director of the Giro d’Italia after the 2011 edition and is generally regarded as having done a good job of developing the race during his time in charge. The event made advances in terms of publicity and social media, and also attracted some big riders as a result of a more humane route and shorter transfers. It’s now continuing without him, and time will tell if the new direction is a successful one. Acquarone has raised questions, though, telling VeloNation in recent days that he disagreed with the choice of wildcards for the 2014 race. He said that he believes the two positive tests the race experienced last year should have meant that the Yellow Fluo team should have been excluded this year. Instead, it was given a place in the event. He also listed a number of reasons the felt that MTN Qhubeka should have been given an invite to the race, rather than being overlooked. It would have been the first-ever African-registered team to ride a Grand Tour, it has links to a charity [Qhubeka – ed.] and it has a high level of riders, including the 2013 Milan Sanremo winner Gerald Ciolek. That decision is of course no longer his to call, but it's clear he remains passionate about the sport. When asked what he would like to do in the future, he confirmed that he hopes to remain involved in cycling. However he’s uncertain if this will be the case. “My experience is in media and sports. Of course cycling is the sport I know best, the sport that I was very involved in during the last two years. I would love to stay involved in cycling, but I don’t know if there is any room for me. “I need to be optimistic and wait for a good chance to start again. “Now I am just working to rebuild my network. It is not easy. In a position like mine, network is everything. Having a good relationship with the people. At the same time, I am looking for new opportunities. I really wish I can still stay in sport, but I don’t know. He’s out of an influential role at the moment, but Acquarone still has his thoughts about the sport and the developments of recent months. One of the biggest was the UCI presidential election and the success of challenger Brian Cookson, who defeated the former chief Pat McQuaid. Acquarone said that he got along fine with the latter, but believes that many things stacked up and ultimately counted against him. He’s hopeful that Cookson’s tenure can bring a change and that cycling’s future will be brighter. “What he said was very good. I said, okay, I am with you one hundred percent. Tell me what I can do to help you with that mission. “But then there were so many scandals, and even in their communication they [the UCI] were not so good. And cycling…it still has a lot of problems. You still have doping scandals, you have WorldTour calendar with some nonsensical things. You still have points for riders that are crazy…you buy riders at the end of the season, there is no drama in the season, there are a lot of races that are for training. From my point of view, it is not so good. Asked his thoughts on the doping issues the sport faced and the best way for it to move forward, he said that he feels it is mainly for others to tackle this issue. He’s no longer a race organiser, but believes those in that position have less responsibility than some of the other stakeholders. Riders, teams and the UCI are more central to tackling the issue, he says. That said, Acquarone did tell VeloNation in recent days that he believed it would be a step forward if Grand Tour organisers adopted a policy to exclude teams with a certain number of positives. He was referring to the two involving the Vini Fantini – Selle Italia team last year, namely Danilo Di Luca and Mauro Santambrogio, plus his assertion that the team should not have been invited to this year’s Giro. “I am not the right person to speak to about this problem,” he said, before giving some thoughts anyway. “We need more controls – I think the biological passport is very good. Maybe you need sanctions to teams that have doping problems. As we said earlier, two doping cases in one race…maybe if you have two doping cases in one season, and the team will not ride WorldTour the following year. “Perhaps that would help. Riders and teams will not try anything risky… They would probably pay much more attention in the future before hiring riders like Di Luca. Until now, I have seen many problems [repercussions – ed.] for riders, but no problems for teams. “When you hire a rider, you need to know a lot about him. The Di Luca case is really bad, and also Santambrogio…when you have a lot of rumours about riders, you need to be careful. Acquarone gives an example of a manager who he believes has done things in the right way. He says the Giant Shimano team shows how things can be built up correctly. “It is three years now since I met him and the team has had two years in the WorldTour. He has never had any problems in that time. He has very good talents, and he is doing very good for cycling. In part III, coming soon: Acquarone speaks about what he sees as the need to completely modify the cycling calendar plus what he had hoped to do to boost women’s cycling.